HÀ NỘI — As much as VNĐ25.7 billion (US$1.11 million) was raised to support the disabled and orphans nationwide during the 16th music programme ‘One heart – One world’ in Hà Nội on Sunday. 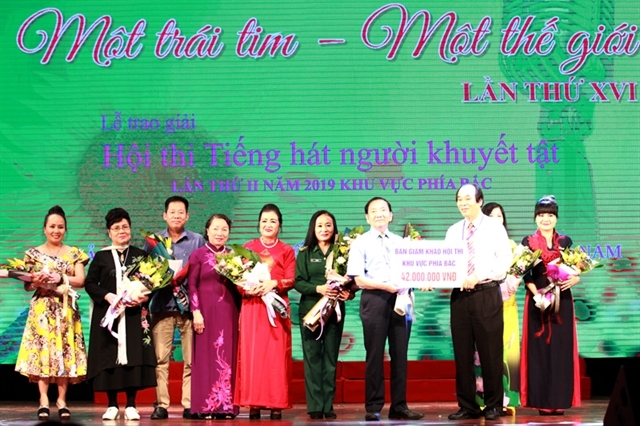 The event, held to celebrate Vietnam Day for Persons with Disabilities April 18, aimed to honour outstanding people living with disabilities and philanthropists for their contributions to improving the lives of the disabled. On the occasion, an awards ceremony for a singing contest for people with disabilities in the north was also held. The organising board presented 13 gold and 21 silver medals to the best performances at the contest.